You can use the split screen feature to simultaneously project two images from different image sources next to each other. 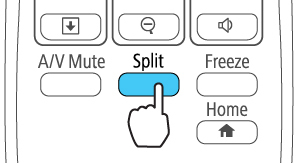 You can control the split screen feature using the remote control, the projector menus, or the interactive function. 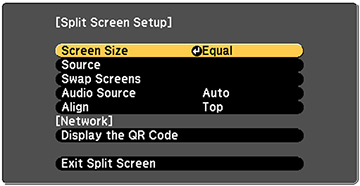 Note: You cannot use split screen with certain input source combinations. 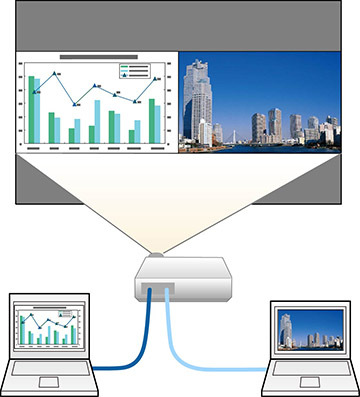 To align the projected images, select the Align setting, press Enter, select the setting, press Enter, and press Menu to exit.